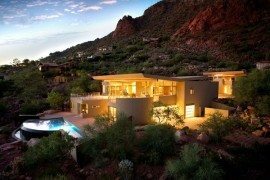 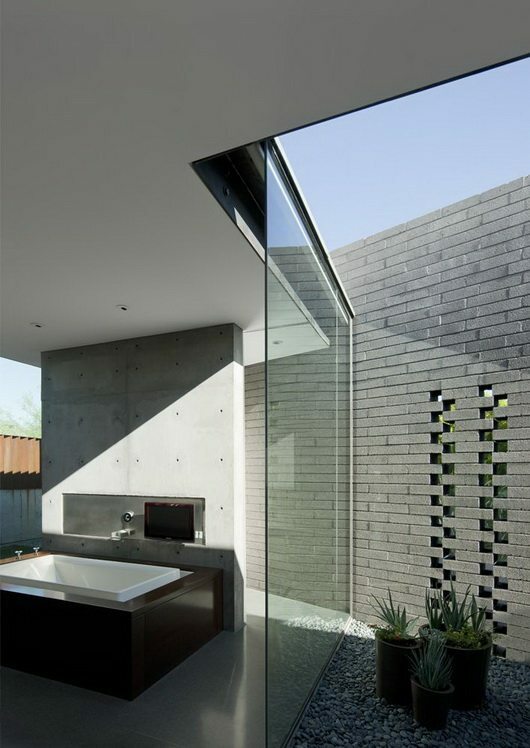 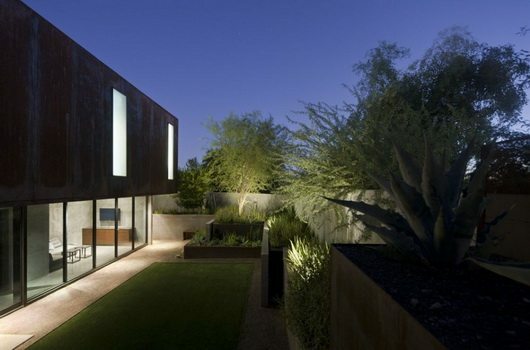 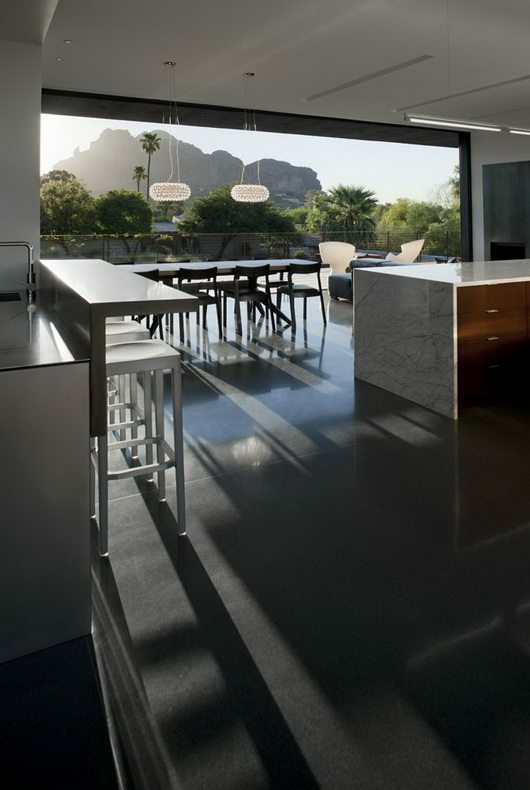 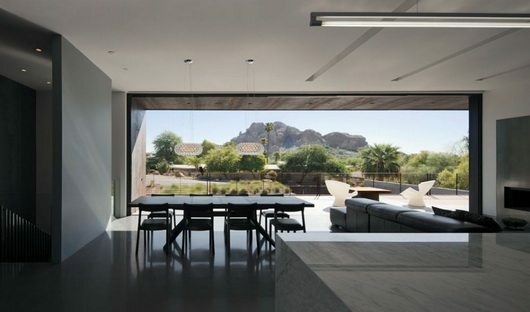 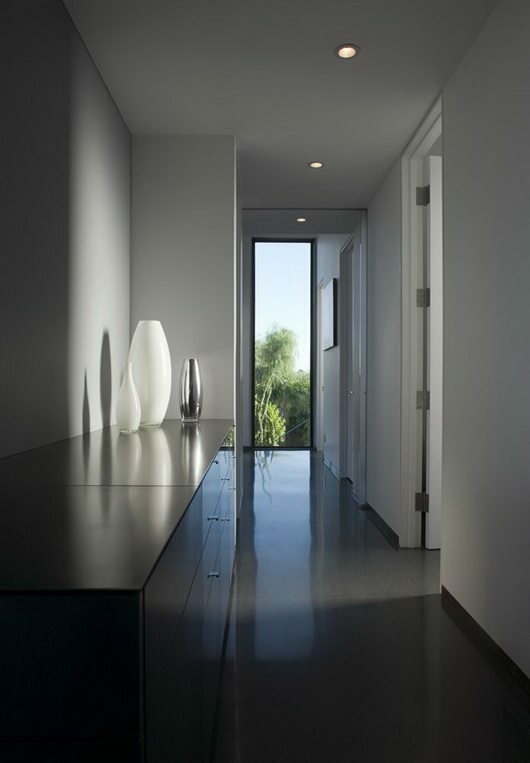 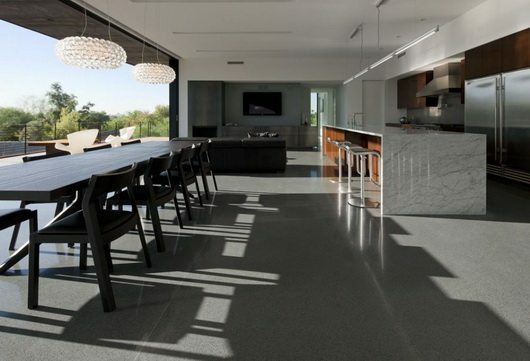 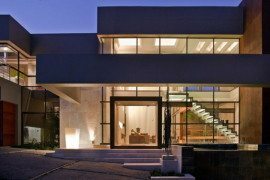 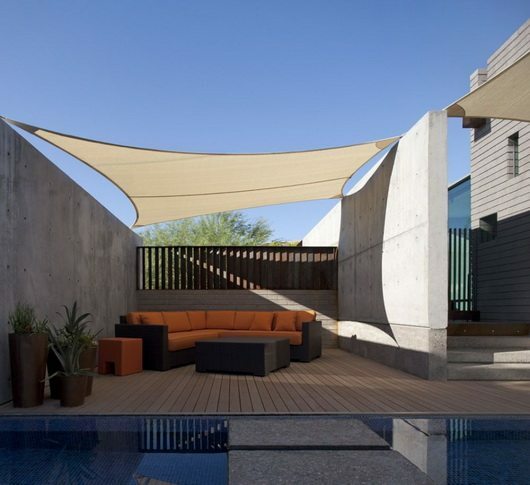 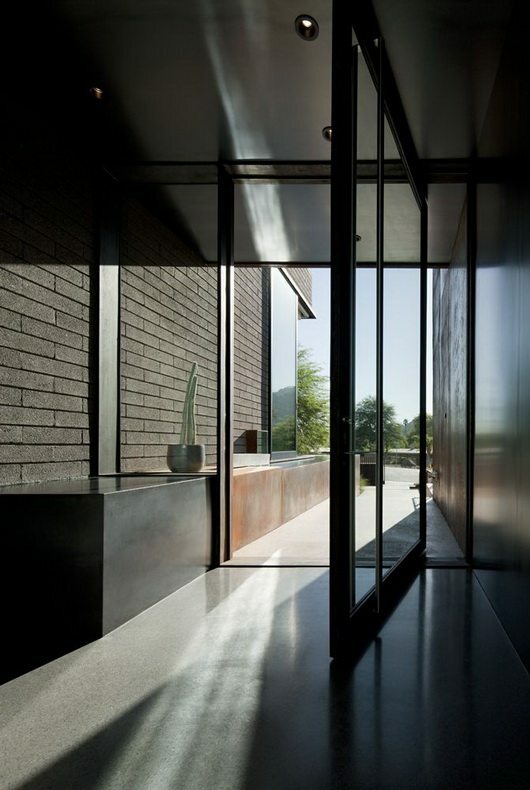 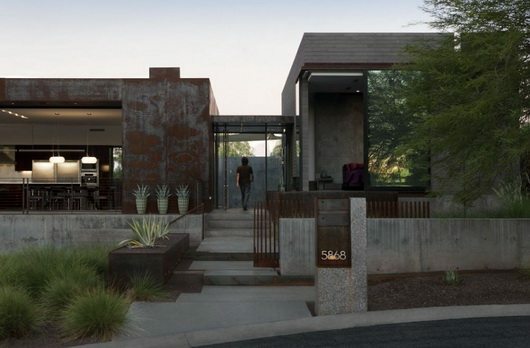 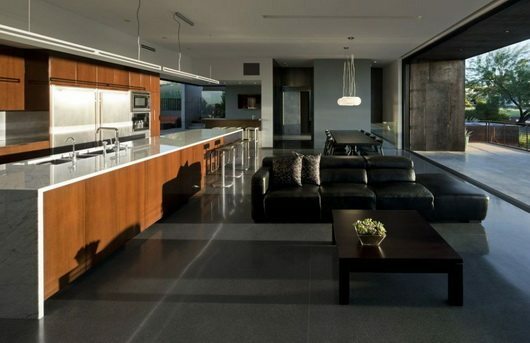 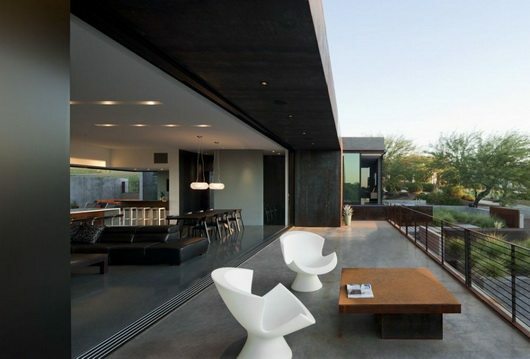 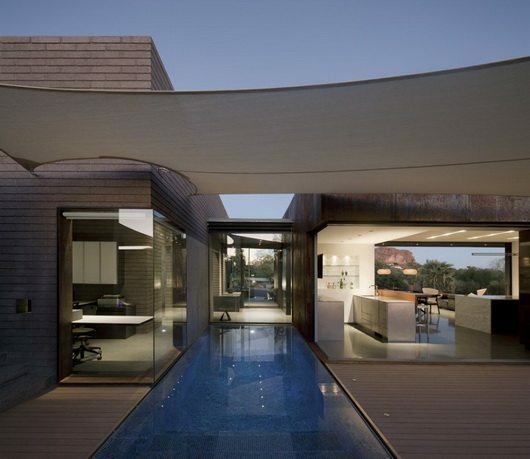 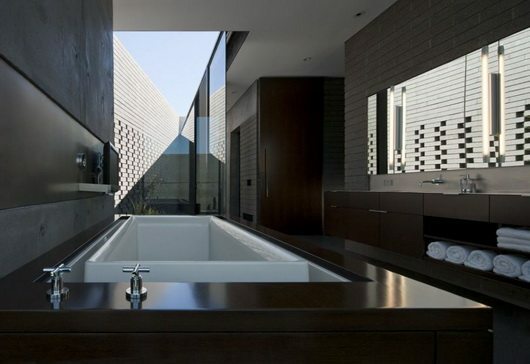 With a view toward the iconic Camelback Mountain, luxury meets brutalism in the Yerger residence by Chen & Suchart Studio. 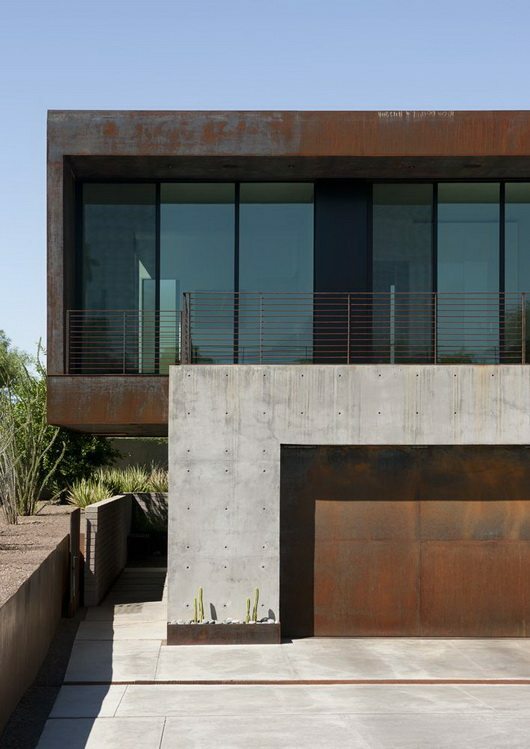 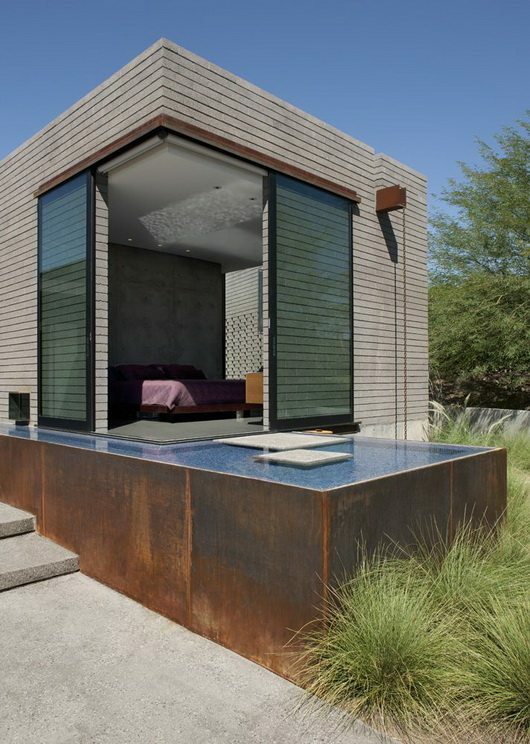 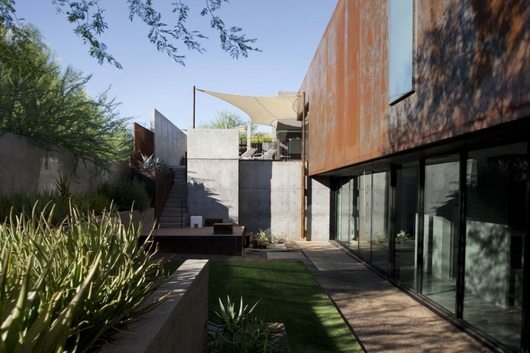 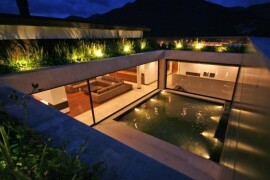 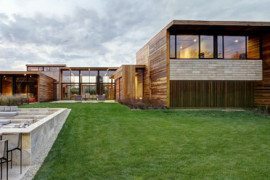 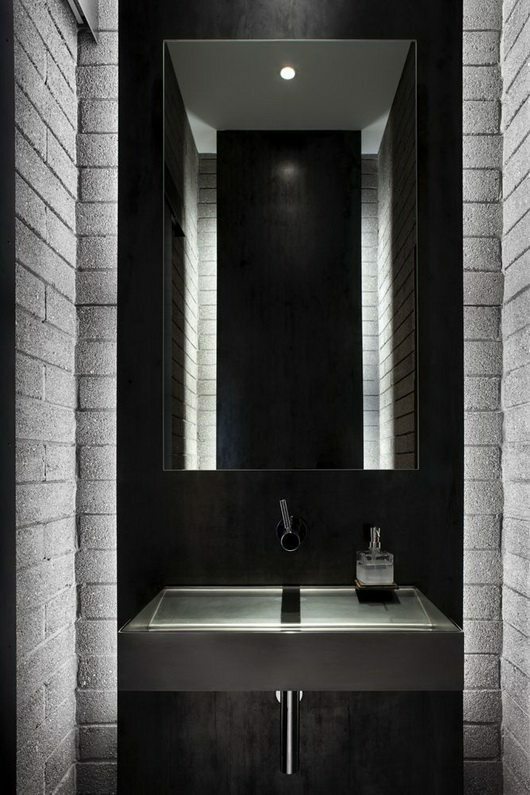 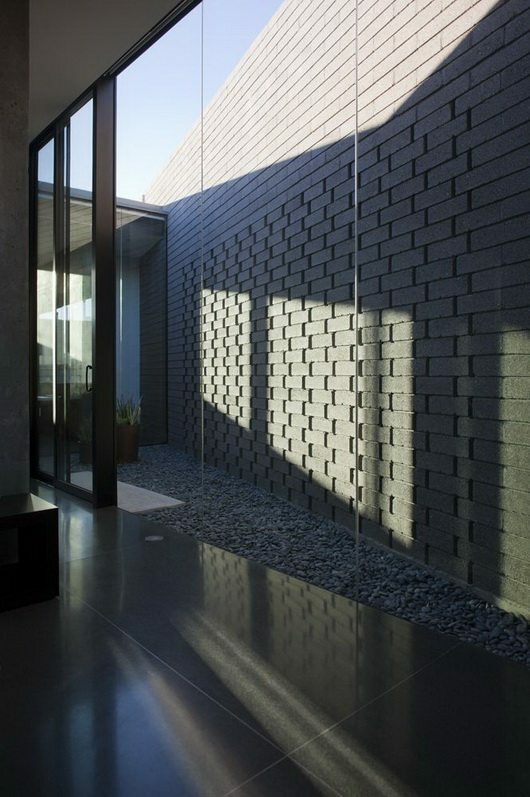 The residence is a floating sheet steel clad volume and a masonry part on a cast-in-place concrete base. 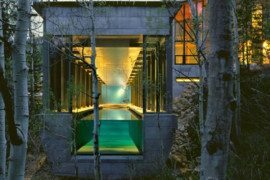 The entry sequence runs along a koi pond and meets a negative edge pool and open transition spaces and membrane-covered repose places. 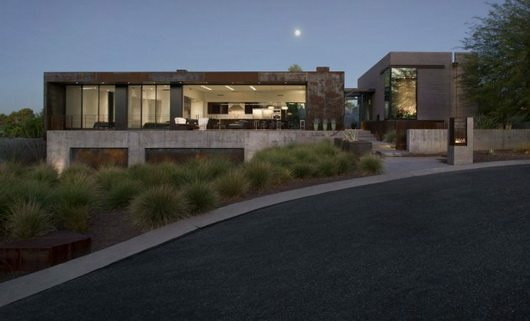 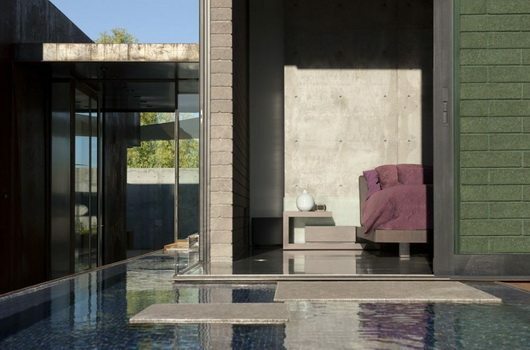 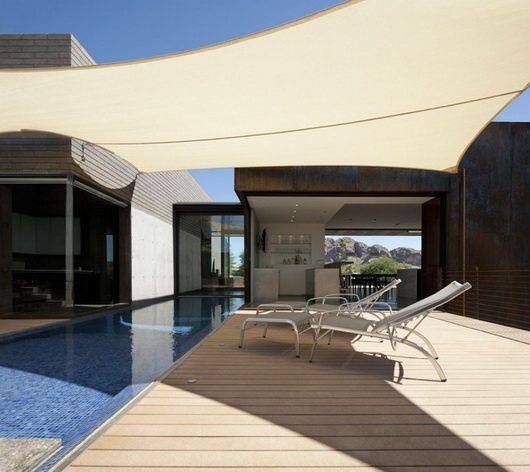 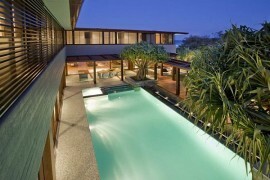 The most striking features are the large sliding glass doors which retract completely giving way to an unobstructed view of the mountain from the guest bedrooms and the huge and luxurious dining and living space, and the rusty finish of the steel cladding complementing it in an earthy hue. 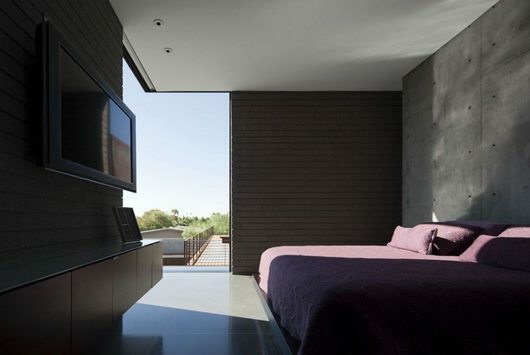 The cacti species landscaping seems appropriate to this brutalist facade, as do the marble and terazzo floors in the interior, and exposed concrete for the bedroom wall does not surprise us anymore.The result is a blend of highly refined and raw industrial materials that highlight their unique qualities.